Freemasonry is one of the world's oldest secular fraternal societies. Below we explain Freemasonry as it exists under the Grand Lodge of Scotland which is the corporate body governing Freemasonry in Scotland and Scottish Masonic Lodges in many other parts of the world. The explanation may correct some misconceptions. Freemasonry is a society of men concerned with moral and spiritual values. Its members are taught its precepts by a series of ritual dramas, which follow ancient forms, and use stonemasons' customs and tools as allegorical guides. Freemasonry is not a religion, nor is it a substitute for religion. The one essential qualification means that Freemasonry is open to men of many religions and it expects and encourages them to continue to follow their own faith. It is not permitted for Freemasons to discuss these subjects at Masonic meetings. Brotherly Love - Every true Freemason will show tolerance and respect for the opinions of others and behave with kindness and understanding to his fellow creatures. Relief - Freemasons are taught to practise charity and to care, not only for their own, but also for the community as a whole, both by charitable giving, and by voluntary efforts and works as individuals. Truth - Freemasons strive for truth, requiring high moral standards and aiming to achieve them in their own lives. Freemasons believe that these principles represent a way of achieving higher standards in all walks of life. From its earliest days, Freemasonry has been concerned with the care of orphans, the sick and the aged. Today charitable work has expanded to include the whole community and in addition large sums are given to national and local charities. Freemasonry demands from its members a respect for the law of the country in which a man works and lives. Its principles do not in any way conflict with its members' duties as citizens, but should strengthen them in fulfilling their public and private responsibilities. The use by a Freemason of his membership to promote his own or anyone else's business, professional or personal interests is condemned, and is contrary to the conditions on which he sought admission to Freemasonry. His duty as a citizen must always prevail over any obligation to other Freemasons, and any attempt to shield a Freemason who has acted dishonourably or unlawfully is contrary to this prime duty and the teachings of Freemasonry itself. Freemasonry is practised under many other Grand Lodges which set the same standards and promote the same principles as the Grand Lodge of Scotland. However, there are some Grand Lodges and other bodies which claim to be Masonic that do not meet these standards. For example some, do not require a belief in a Supreme Being, others permit their members as such to participate in political matters. For these reasons such bodies cannot be considered to be Masonically regular and Scottish Freemasons can have no Masonic contact with them. A Freemason is encouraged to do his duty first to his God (by whatever name he is known) through his faith and religious practise; and then, without detriment to his family and those dependent on him, to his neighbour through charity and service. None of these ideas is exclusively Masonic, but all should be universally acceptable. Freemasons are expected to follow them. 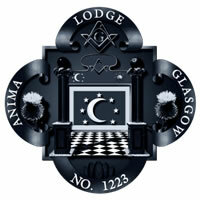 The Grand Lodge of Antient Free and Accepted Masons of Scotland (founded 1736) is the 'head office' for Scottish Lodges in Scotland and overseas.